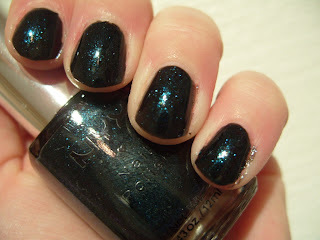 My New Years NOTD is Isadora's "Black Galaxy" from their Xmas 2011 collection Red Rush. It is a super-sparkly stunner - not as crappy as it appears in my photo! 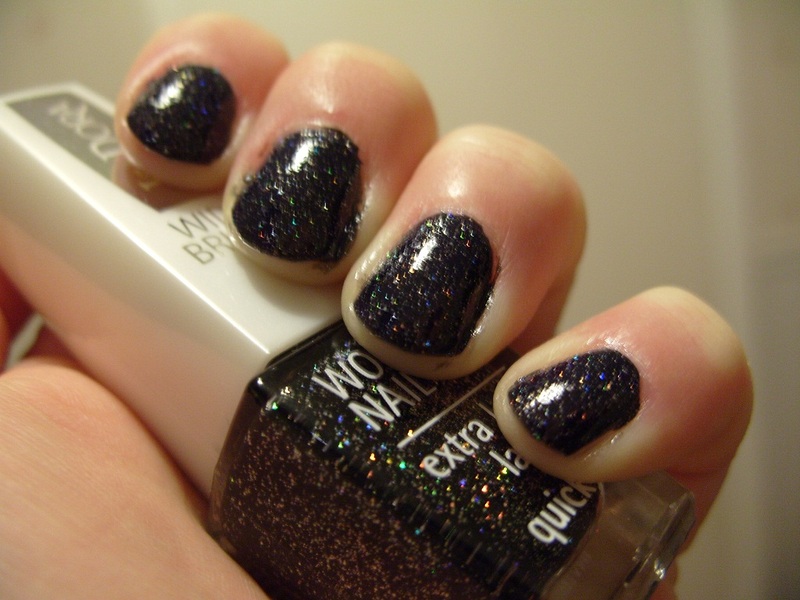 This is 2 coats of black holo fabulousness, but it does eat top coat so you will need at least 2 coats of top coat to tame it :O Set it with top coat, then when it is all dry, add another coat of top coat to bring out the sparkle. Worth it though!! To end 2011, I bring you the scene we had as the sun set for the last time in 2011 over the hills in Hälsingland, Sweden. 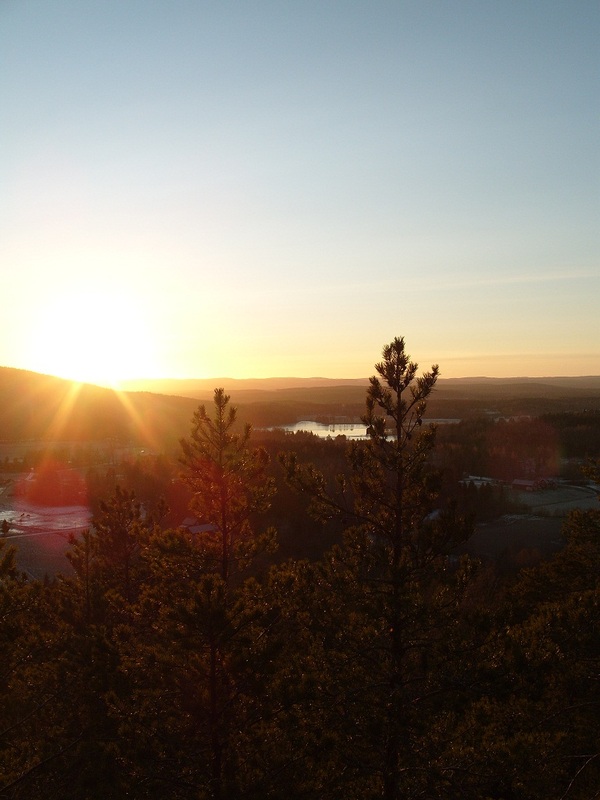 This is the splendid view from the ancient fort on Borgberget! 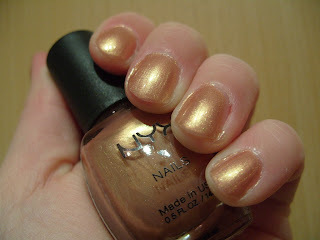 I loved this polish when Nailtastic showed it! 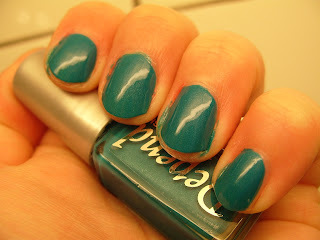 This is 2 coats with a slick of Depend Quick and Shine top coat! 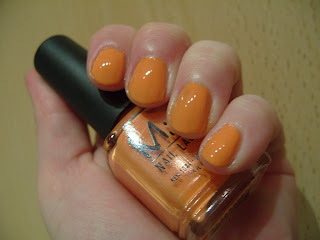 On it's own, this polish dries to a semi-matte finish, which leads me to classify it as a neon! The storm 'Dagmar' kept us awake last night and as we drove to Hassela ski resort, we saw the carnage left by the storm overnight. Hundreds of trees that has been uprooted and taken down power lines; there were even trees blocking one and a half lanes of the E4 motorway! We managed to navigate powerlines and trees on the roads and got to the ski resort - to find it without power. The ski slopes were empty as the ski lift had been taken down by trees... We did however get to ride some killer 150 horsepower snowmobiles!!! And as the skiing was out of the question the adventure guides got special dispensation to ride the slopes with us as the snowmobile trails were blocked by trees... 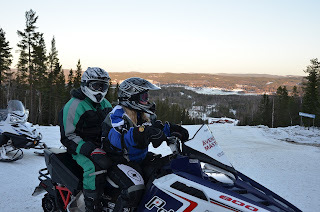 This is me driving the snowmobile and my other half on the back - shortly after I got us stuck in the deep snow going up a steep slope :D Oops! 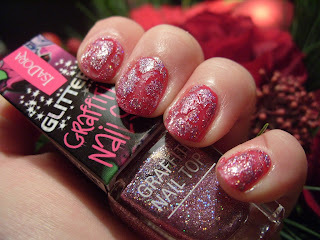 Merry Xmas NOTD: Isadora Glitter Graffiti Nails "Pink Fame"
Merry Xmas my dear readers! 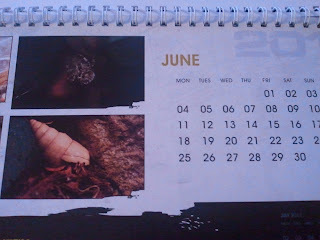 My hermit crab is a June girl! My hermit crab is on the June spread of the ReptileForums UK unofficial calendar :D My hermit crab Hermione has since changed her shell to a turbo one so this white one is lying empty in the terrarium. 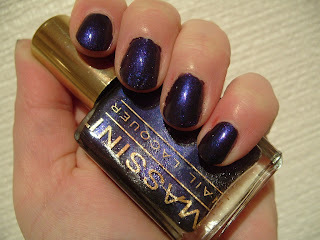 I continue my foray into super-sparkly! 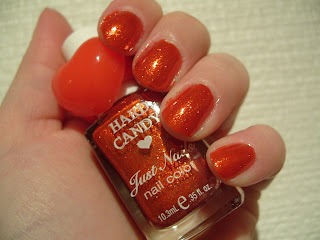 This time it is the aptly named "Lava" from Hard Candy. It's an insanely sparkly orangey-red. I think this may actually stay on until Xmas eve :) This is 2 coats with a coat of Sally Hansen MegaShine top coat. 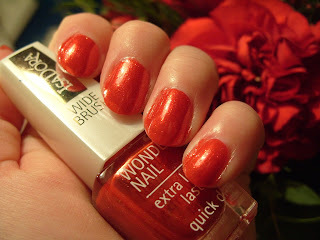 If you are sensitive to VNL, you might want to do 3 coats but I'm ok with 2! NOTD: China Glaze "Ruby Pumps" with OPI "Gold Shatter"
Bling it ooooon!!! 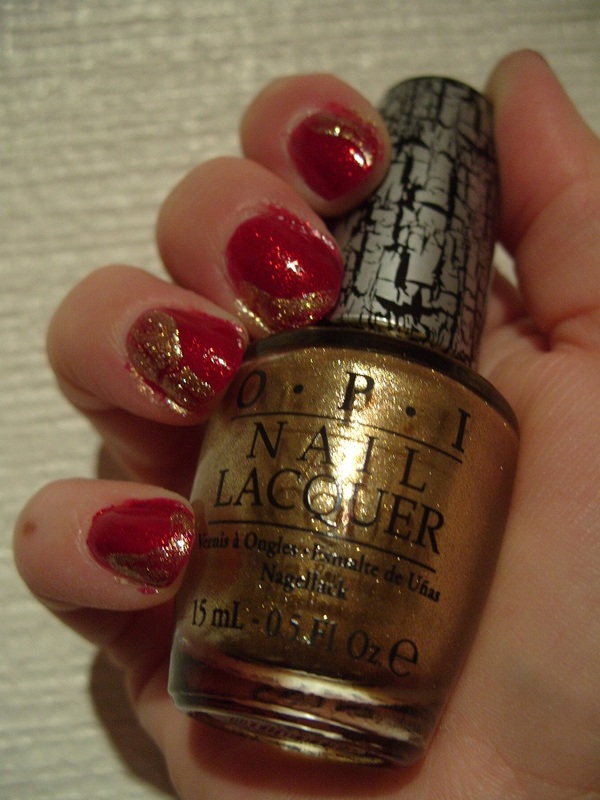 :) I am seriously getting in the mood for Xmas now - I am only working 4 days then I am off work until the 16th January, so I thought I would use my OPI "Gold Shatter" from this month's Joliebox. I decided to pair it with my all-time fave red glitter - China Glaze's "Ruby Pumps". Even my Mum has a bottle of "Ruby Pumps" - everyone who sees it, loves it :) This is 2 coats of "Ruby Pumps" and a bit of "Gold Shatter" with a slick of MegaShine top coat. I'm not sure I like the pretend nail art I've made - looks really messy. But if it sparkles, it'll do today! Where does your eye fall first?.. That's right, it has a light and a mirror on the back! I took delivery of my first Joliebox today, after them joining forces with Boudoir Prive last month. I wasn't sure what to expect. 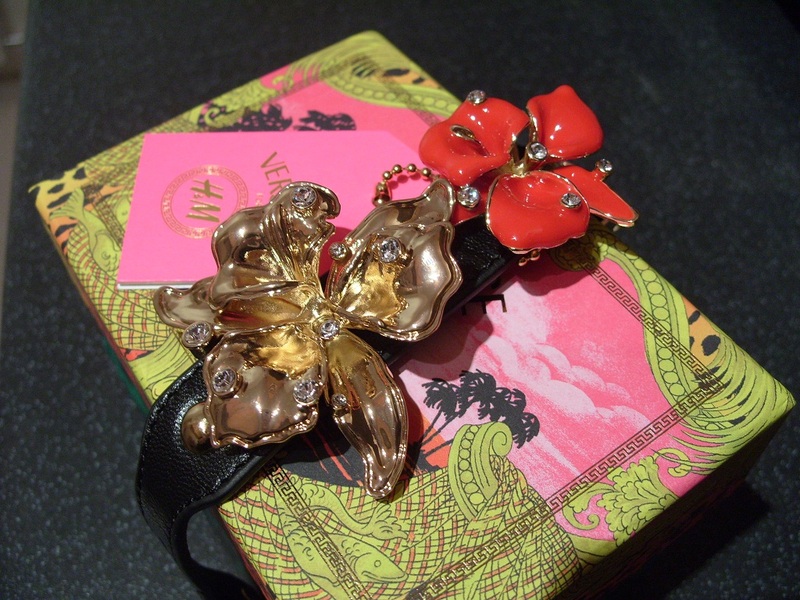 I really liked my first Boudoir Prive box (the old style pink is more me, I am not classy like the black Joliebox...). I have to say, when I opened the Joliebox I went straight for the tea, then the New ID lip gloss. THEN I saw the OPI Gold Shatter. I actually went "OH!!" out loud and woke up the cat. That secured it for me. I've not got an OPI Shatter yet so I am delighted :) And it's not a silly mini size OPI! In due course I will do proper reviews for these and last month's Boudoir Prive box - just been so damn busy lately. I will bring all the products to Sweden with me over my extended Xmas break and will hopefully have lots of time then to review! Woohoo! XMAS has come early this year! 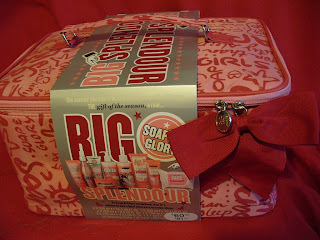 Soap & Glory sure knows how to cause a storm - issuing a super offer on Facebook and through their newsletter, and now social media is buzzing with stories of toil as girls everywhere is trying to get their well-manicured mitts on this superb offer! Normally 'Big Splendour' would set you back a hefty £60 but now £25 gives you all of this until 22 December. 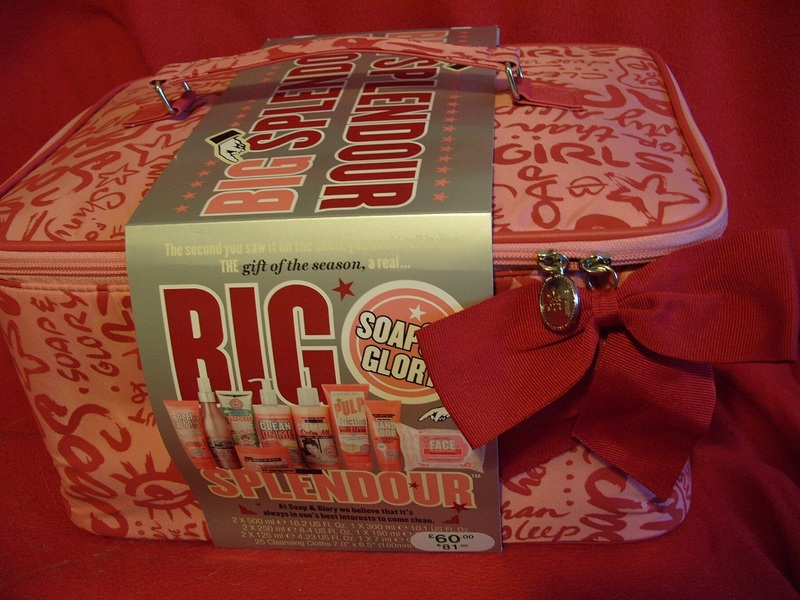 'Big Splendour' gift sets are still in stock at Boots.com but expect store supplies to be exhausted! I took the Other Half on a trip to the city centre on our day off to get hold of one (he's a real man who helps when his Woman is hunting down that special something). As you may know, I am a bit of a Soap & Glory buff (my purse will never forgive Jenny!). Never really had a bad product from there. Hand Food™ is my favourite hand cream.  One of my favourite products ever is their The Fab Pore™ Hot Cloth Cleanser. 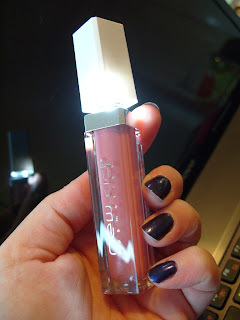 When times were tough when our house was devastated by the flood, Bright Here Bright Now™ instant radiance energy balm made it easier as I looked ok with no make up required... Having tried a couple of the lip plumping lip glosses I am hoping to delve more deeply into their new make up range, and with an incentivizing 200 Boots points voucher if you spend £10 or more on their make up included in the 'Big Splendour' box I can do just that! 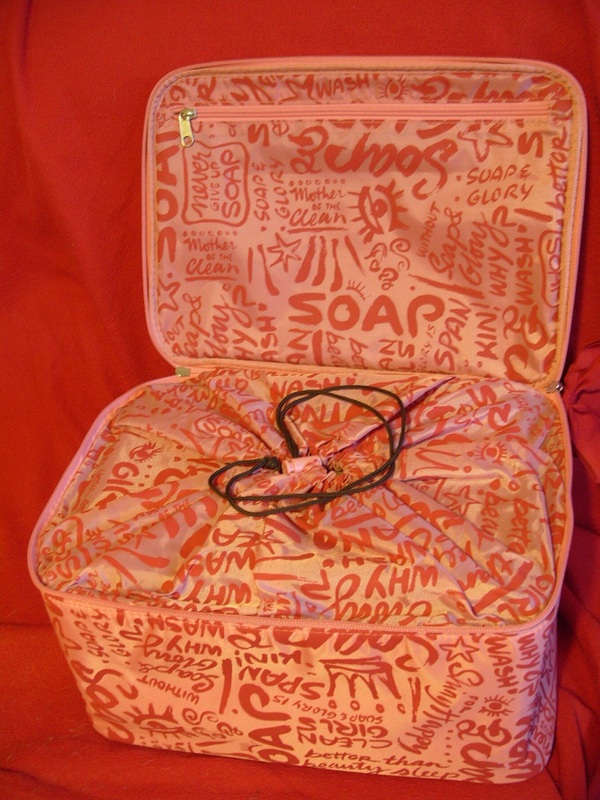 But why, oh, why Soap & Glory have you discontinued Wash Almighty™ and Peachy Clean™?? Anyway, back to 'Big Splendour'. Having missed out on their similar offer last year, I was fairly desperate to get this one. 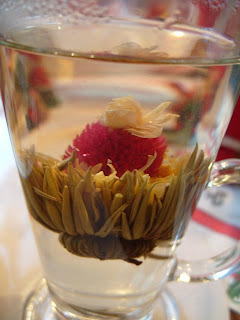 And having scored, I am not disappointed! The cool bag will be used to store the products I am alternating between currently (yes, I am very fickle, I swap products round a lot). NOTD and my xmas present to myself! But I got something else in the mail today I've been waiting ages for - my Versace by H&M bracelet :D Woohoo!! 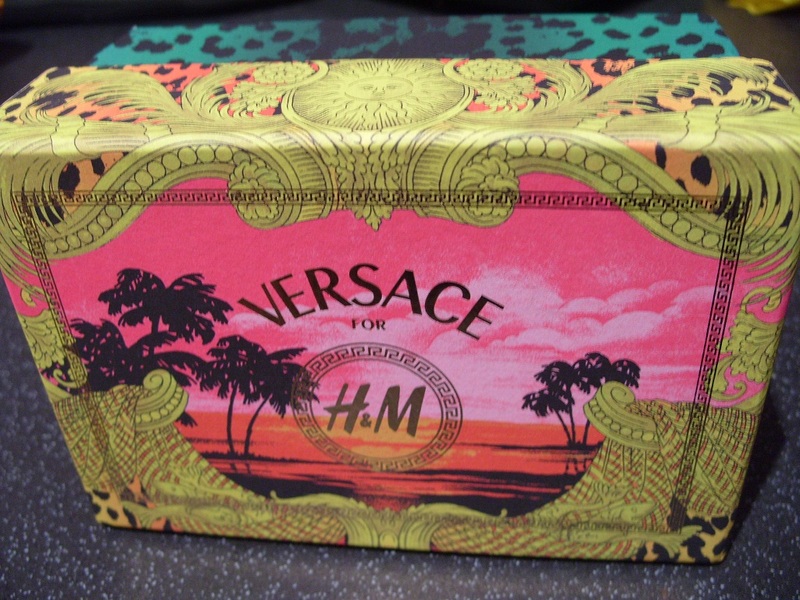 How cool is the box?? It's my xmas present to myself! 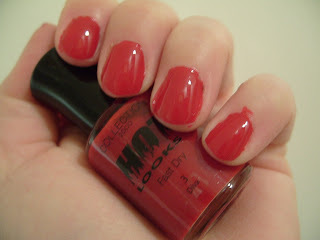 NOTD: Misa "Speed of Life"
NOTD: Collection 2000 Hot Looks "Diva"
I am finally recovering from the massive cold I had, so I needed something red. This is 2 coats of "Diva" with a slick of MegaShine for a speedy drying - it's such a shiny polish it doesn't need a high-shine top coat :) It is very tricky to photograph this; in some lights it looks tomato red, in others a dark vampy blood red...It is really much darker than the photo shows but at least I managed to get the cool clean red base of this polish. 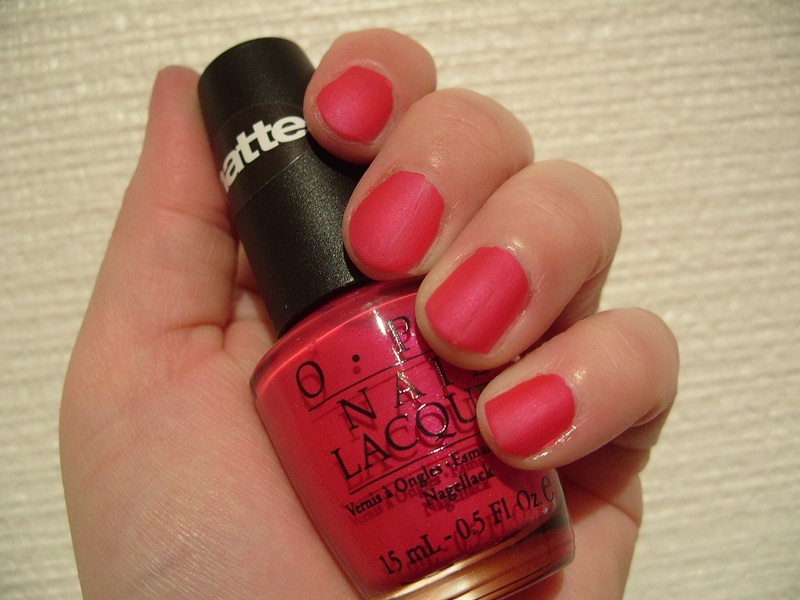 So I instead quickly slicked on one coat of OPI Matte "La Paz-itively Hot". And in an instant I went from hollow inside with disappointment to feeling like a million dollars :) This is one coat over base coat (as sometimes I get staining from mattes). 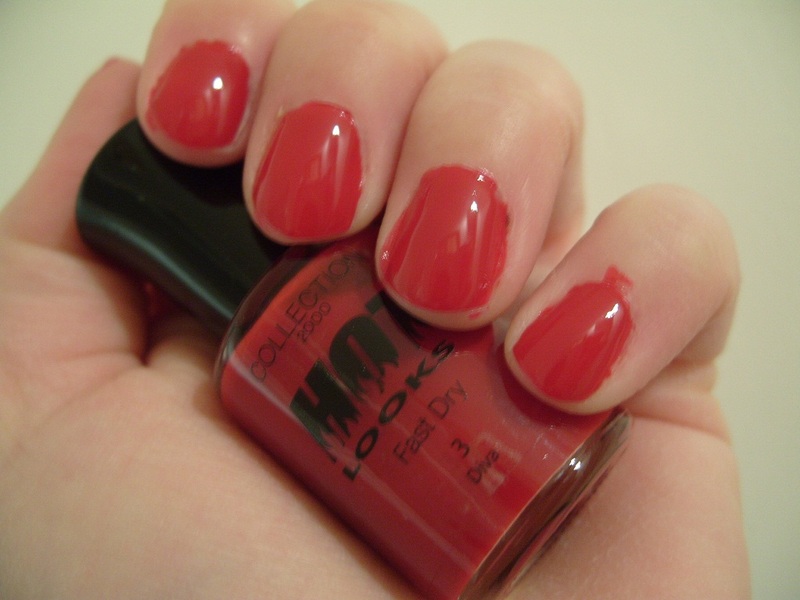 It won't last very well but it doesn't matter - this is hot summer all-night party in a bottle!